There is no doubt that rhythm and blues is the soundtrack of the Civil Rights Movement but in this, the 50th anniversary of the 1964 Civil Rights Act, I am issuing a programming challenge to the classical music world. Hey there all you classical music stations, both internet based and broadcast. Hey there Spotify and Pandora. 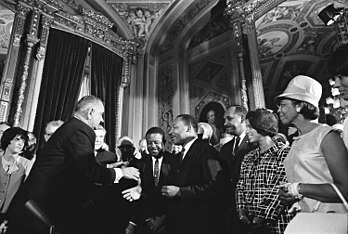 Have you explored the music written for and about the Civil Rights era? Well, here’s your chance. I begin my programming day with Joseph Schwantner’s “New Morning for the World” (“Daybreak of Freedom”), written in 1982. Comparisons to Copland’s “Lincoln Portrait” are made due to the similarity in character and the use of a narrator. The other work on this Oregon Symphony CD under the late great James De Preist is a work by an older composer Nicolas Flagello. The cantata, “The Passion of Martin Luther King” from 1968, was composed in the shadow of the assassination of Dr. King and first performed in 1969. Both works deserve more hearings for their musical accomplishments as well as for the subject of their dedications. Moving on to the next segment I will move on to Adolphus Hailstork‘s 1978 “Epitaph for a Man Who Dreamed” followed by William Grant 1930 Symphony No. 1 “Afro-American”. Still is rightfully known as Dean of Afro-American composers. A contemporary of Aaron Copland, his accomplishments established without a doubt the place in classical music for black composers. Hailstork acknowledges his debt to the older master. He is the next generation of black musicians contributing to the repertoire. I will conclude this segment with Hailstork’s Symphony No. 2 which contains his impressions upon visiting the slave market areas of western Africa, places where began the shameful history of black slavery. And on we go now to Luciano Berio’s 1968 “O King”, a chamber piece later incorporated into his masterwork, “Sinfonia” of the same year. I program the version from Sinfonia, it’s my favorite rendering. The vocal parts of this piece are solely comprised of the name “Martin Luther King”. Also from 1968 there is Michael Colgrass’ “The Earth’s a Baked Apple” which is subtitled, “A Musical Celebration in Honor of Dr. Martin Luther King, Jr.” (psst, I have a bootleg of it). We move on to afternoon programming featuring Anthony Davis’ opera, “X”, based on the life of Malcolm X. This is a work that deserves a new production. Following this I will move on to Duke Ellington‘s 1943 “Black, Brown and Beige” Suite and then his “Three Black Kings” titled in French with rhyming wordplay as “Les Trois Roi Noir”. 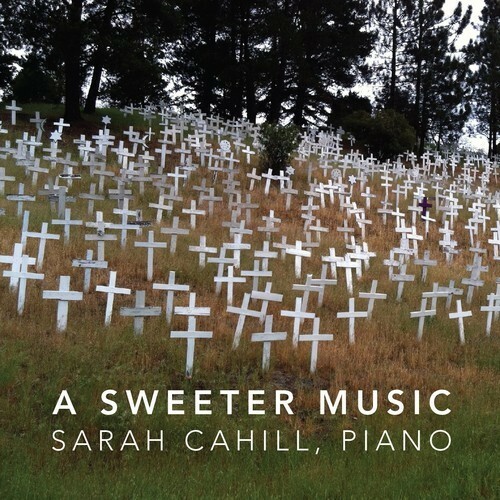 The program would be incomplete without programming the wonderful Other Minds CD of Sarah Cahill’s album “A Sweeter Music” featuring a diverse collection of compositions written for her on commission by Terry Riley, Meredith Monk, Frederic Rzewski, Kyle Gann, Carl Stone, Phil Kline, Yoko Ono and The Residents. The title is taken from Dr. King’s Nobel Prized lecture in which he refers to peace as “a sweeter music”. I will end my fantasy program with Dizzy Gillespie’s “Brother K’ and Hale Smith’s “In Memoriam Dr. Martin Luther King, Jr.” But fear not I leave you with a useful reference I have recently discovered. “A Catalog of Music Written in Honor of Martin Luther King, Jr.” edited by Anthony McDonald. Stay tuned for more on these subjects coming up during February for Black History Month. Peace, Dr. King.